Arctic SuperStores Starting with 58 m2 and increasing with 29 m2 per unit there is almost no limit on the size of the installation. Suitable for use inside, outside or connected to buildings. 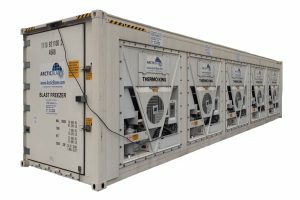 Using purpose designed and manufactured 40’ container modules Arctic SuperStore combine the many advantages that containers have with the flexibility of wide body storage modules and more. The Super2 model has 42 UK/51 EU pallet capacity. If you are short of space SuperStore can be stacked on top of each other. 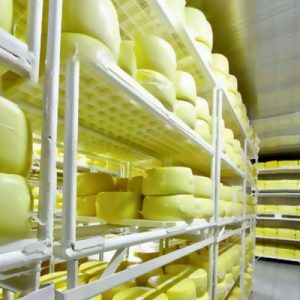 High insulation values reduce the machinery’s need to work. Low lorry mounted crane delivery and collection costs. Prompt nationwide availability. Ask about ArcticStore if you find the SuperStore to large they are available 10’, 20’ & 40’. All refrigeration machines are new technology with low power consumption ensuring the lowest possible operating costs. To the best of our knowledge all our containers/portable cold stores are manufactured using ethical practices and controls. Need blast freezing or rapid chilling? SuperStores are now available as dedicated blast freezers/rapid chillers. 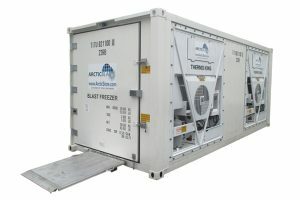 ArcticBlast 5 model will freeze 20T meat in less than 24 hours or chill fruit and produce in no time. 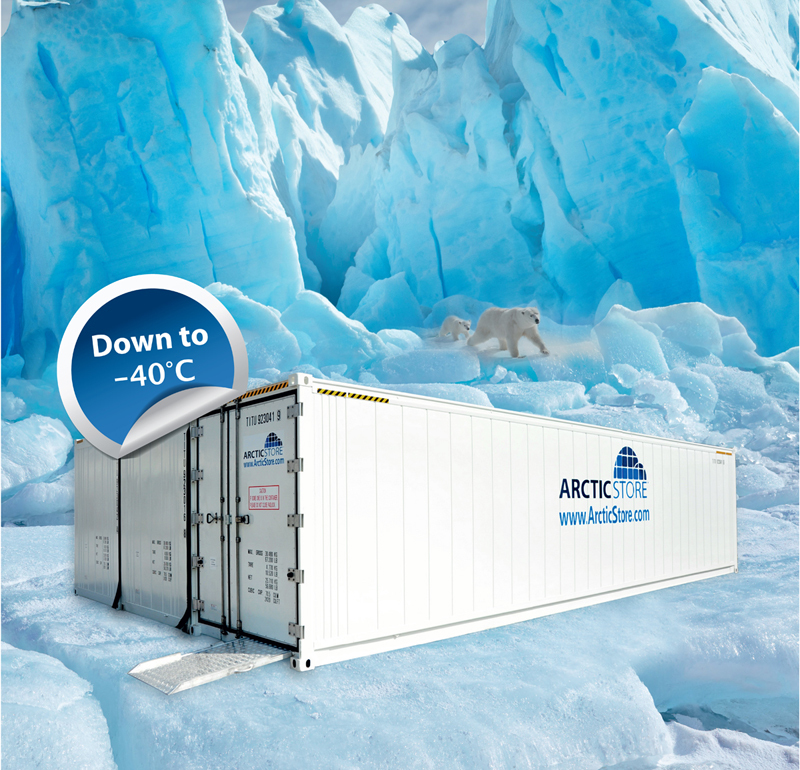 ArcticBlast is available as stand alone or integrated in a storage SuperStore facility.